Since opening in 2006, Shoreline Pools has grown into Cape Cod’s largest pool builder. By staying focused on our customers’ needs, we’ve developed a reputation as a dependable and creative company of dedicated professionals. Chris Dittrich, Shoreline’s founder and president, and the rest of our team take great pride in each pool we design and build. Between Chris and the team, we offer our clients decades of experience and expertise. We believe in building long-lasting relationships with our clients, which we achieve by providing an exemplary product and superb customer service. At Shoreline Pools our motto is, “We Build Dreams.” We understand that we aren’t just building another swimming pool…we’re building your pool. We work with our clients to create an outdoor living space that will become a gathering place, the type of place where memories are created and good times are shared with family and friends. 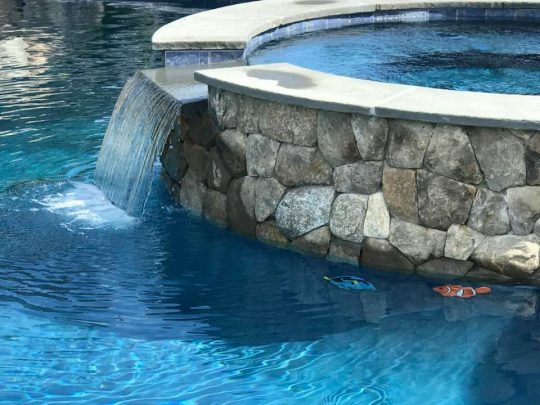 When you decide to design and build a pool, or renovate an existing pool, with Shoreline, you’ll be working with a team that makes certain to understand exactly what you want and then turns it into a reality. Following an initial consultation with our designers, we’ll present you with a 3-D depiction of exactly what your pool will look like in your own back yard. Ready to get started on your dream? We invite you to contact us today!